Why do you need a great property specialist in Knowle? The Knowle property industry has had a significant increase of activity over the last few years. Whether you are selling or letting, use a property group that specialises in getting you the highest possible price through award-winning customer service and international marketing. Through our property selling services offered in the area and across the West Midlands, Love Your Postcode has earned a strong reputation in the local market, becoming one of the most in demand estate agents in Knowle. Knowle is a large village situated 3 miles (5 km) east-southeast of the town of Solihull, West Midlands. Knowle lies within the historic county boundaries of Warwickshire, and since 1974 it has been part of the Metropolitan Borough of Solihull within the West Midlands. It lies a few miles from the modern Warwickshire border and has a population of around 11,000 residents. Most of the sales in Knowle over the past year were detached properties which on average sold for £605,126. Semi-detached properties had an average sold price of £409,370 and terraced properties averaged at £353,420. Knowle, with an overall average price of £479,648, was similar in terms of sold prices to nearby Hampton-In-Arden (£461,603) but was more expensive than Solihull (£306,751) and cheaper than Dorridge (£535,196). In the past year house prices in Knowle were similar to the year before and 11% up on 2015 when they averaged at £432,498, says Rightmove. The average price for property in Knowle stood at £498,149 in July 2018. This is a fall of 0.39% in the last three months (since April 2018) and fall of 2.84% since 12 months ago. In terms of property types, flats in Knowle sold for an average of £284,415 and terraced houses for £336,221. This is according to the current Zoopla estimates. Whether you are a landlord or a property seller, Love Your Postcode Group will advertise your property on Rightmove and other the biggest property portals, billboards, social media, window displays, national newspapers, a waiting list of buyers, lifestyle magazines, SMS/Email matching, our website, our property app, leaflets, Google Remarketing, & more. By accurately valuing your property and marketing it both online and offline on a national scale, we can generate rapid interest in an exceptionally short period of time. We only ever charge you at the end of a sale. We don’t believe in charging anything upfront.  Love Your Postcode Estate Agents gives your home maximum exposure online & offline, getting it more views from potential applicants, therefore more offers, and ultimately the highest possible finishing value. This means you end up with more money in your pocket and you enjoy a higher quality service. Call us on 0800 862 0870 or book a free valuation today.